Good packing is extremely essential to ensuring a good move. At Billy Goat Moving & Storage, we understand that due to your busy schedule, you may not have the time required to pack and fully prepare yourself for your move. By having us pack for you, we take much of the time and stress out of the moving experience. Our professional movers are experts in packing and unpacking all types of household goods. Your most fragile possessions will be carefully packed and padded by our specialists to ensure maximum protection during transport. If your move includes delicate china, crystal, art, family heirlooms, or other items that require special attention, we recommend that you discuss professional packing services with one of our representatives. 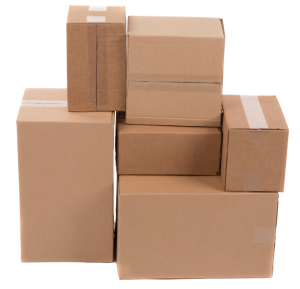 We will be glad to explain costs, materials, and the packing services that we offer. On larger jobs, packing is usually performed one to two days before the move, or if the scope of packing is limited, on the day of the move. You can depend on Billy Goat Moving & Storage for knowledge and experience in helping you prepare for your move. Call us today at (970) 221-0701 if you have questions about packing or are interested in getting a quote for your upcoming move!